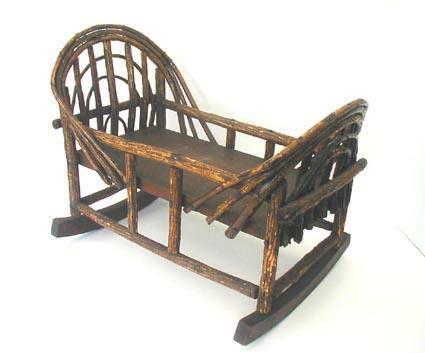 Old Hickory style bent twig cradle with solid wood platform. Excellent condition. Measures 18" long by 13" wide by 15" high at highest point.